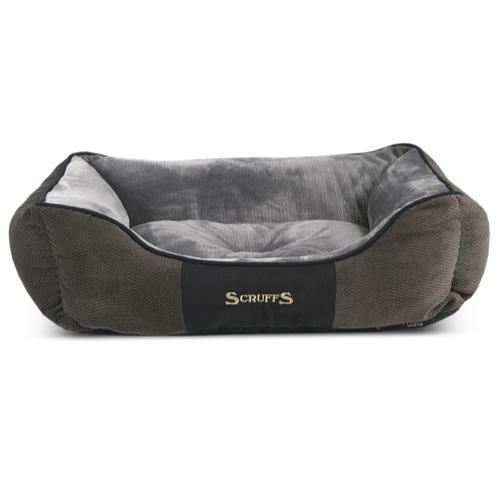 The luxuriously super soft Scruffs Chester Box Dog Bed in Graphite wraps around your dog creating a snug safe environment so that they feel secure as they drift off into a deep sleep. Lined with faux suede the bed compliments any home whilst giving your dog their own corner of ownership. With a non-slip base the box bed is made using one piece construction for greater support and durability during washing.